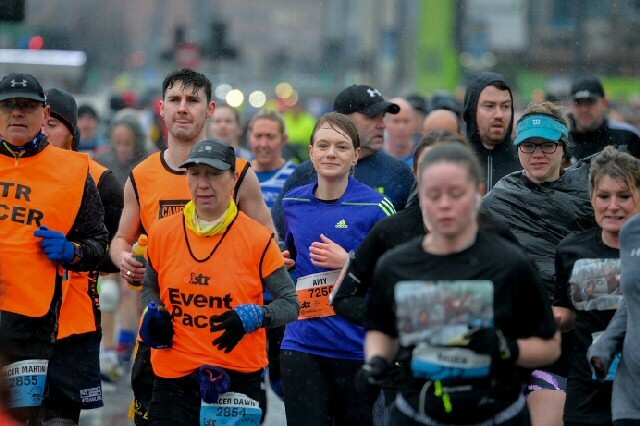 MORE than 3,500 competitions pulled on their running shoes to take part in the 13.1 mile BTR Liverpool Landmarks ½ Marathon in some of the worst weather conditions in the race's 26 year history. 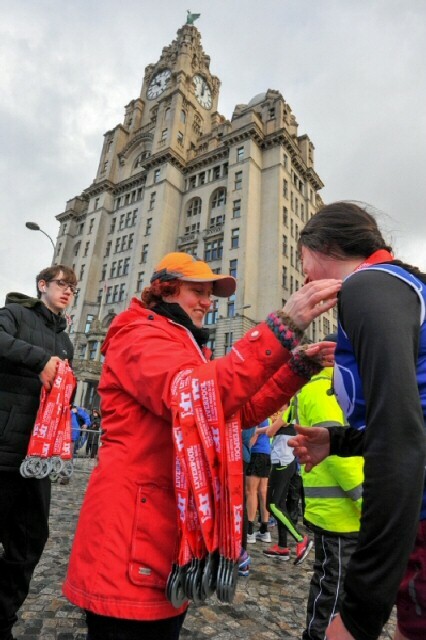 The event also included the 4th annual BTR Liverpool Landmarks 10 Mile Road Race. The race was started by Everton Football Club legend and club ambassador Ian Snodin, who cheered on runners as they crossed the start line. Ian was representing club charity, Everton in the Community. Runners included Stephen Symons, who has taken part each year since the race started in 1994. 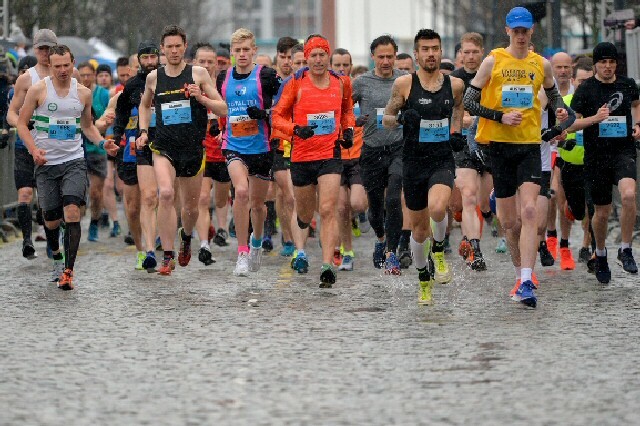 The race continues to attract participants from across the Merseyside running community, the North West and UK - and the number of runners travelling from overseas grows each year. 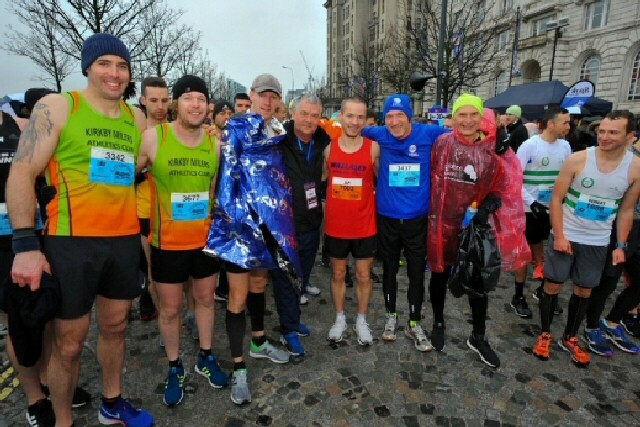 This year runners travelled to Liverpool from:- Australia, Belgium, Brazil, Denmark, France, Germany, Holland, Isle of Man, Israel, Italy, Ireland, Macedonia, Malta, Netherlands, Norway, Jersey, Poland, South Africa, Spain, Sweden, Switzerland, Thailand, Ukraine, and the United States of America. 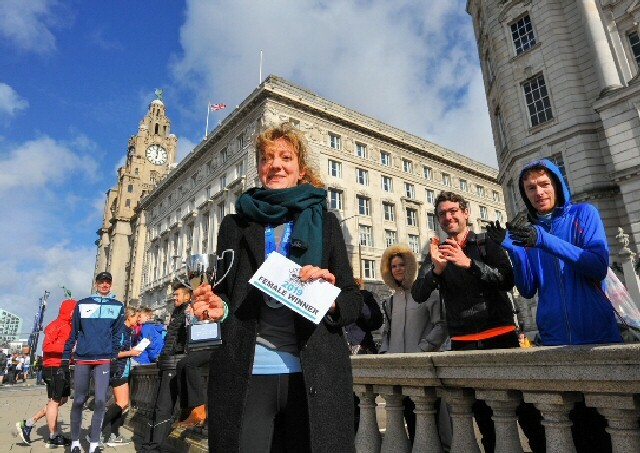 Given its international reach, the race was this year dubbed the BTR Liverpool Landmarks ½ Marathon; to celebrate its strong links to tourism, showcasing the City and destination to visiting runners and spectators who are encouraged and invited to run and see the City on foot. Both races started and finished under the gaze of the Liver Birds at Pier Head Liverpool, part of the UNESCO World Heritage Site and an iconic backdrop to showcase the City set against the 3 Graces:- the Royal Liver Building, Cunard Building, and Port Of Liverpool Building. The course featured some of Liverpool's most famous sights including:- Liverpool Cathedral, Princes Park, Sefton Park, Otterspool Promenade, Royal Albert Dock Liverpool, and Museum Of Liverpool. 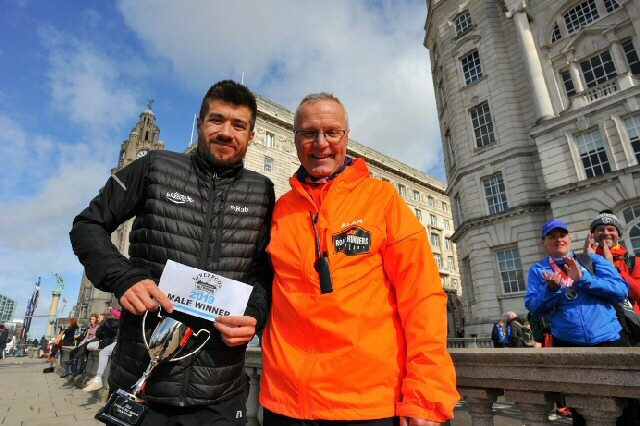 The BTR Liverpool Landmarks ½ Marathon 2019 was won by Daniel Kestrel from Rotheram Harriers AC in a time of 1:11:01 (gun time). The winning female was Ellen McLeod from Sheffield RC recording a time of 1:28. The winner of the BTR Liverpool Landmarks 10 Mile Road Race was Mark Dunham from Southport Waterloo AC with a time of 56:08. The first female to finish was Liz Turner from Penny Lane Striders in 1:10:17. Everton's Ian Snodin was joined by runners and volunteers representing Everton in the Community. They were raising awareness and funds for The People's Place, the charity's mental health focused fundraising campaign to develop and build a purpose built mental health facility close to Goodison Park. Places are available to run for Everton in the Community in future BTR races. The day's most senior participants were 81 year old John Courtney from Liverpool; Ronald Thornton aged 79, from Crosby; and 75 year old Marion Hirst from Liverpool. BTR Liverpool is the leading independent organisation for creating, managing and delivering headline race events across Liverpool City Region. Its growing portfolio includes the:- BTR Mersey Tunnel 10K; BTR Liverpool Santa Dash; BTR Port Sunlight 5K and 10K; and 52 mile BTR Tour Of Merseyside. BTR Race Director Alan Rothwell commented:- "Wow what a way to start our race portfolio for 2019. Huge congratulations and well done to everyone who took part, in what were some of the worse weather conditions we've experienced in the race's 26 year history. 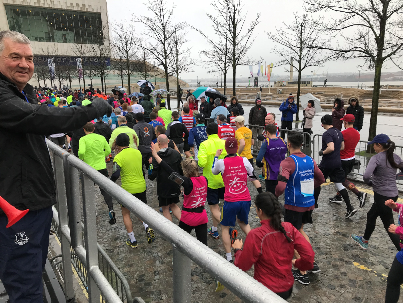 10 miles and a ½ marathon are long distances to run anyway, but in such challenging and testing weather of rain, cold, wind and hail, it's real testament to the grit and determination of every single runner. 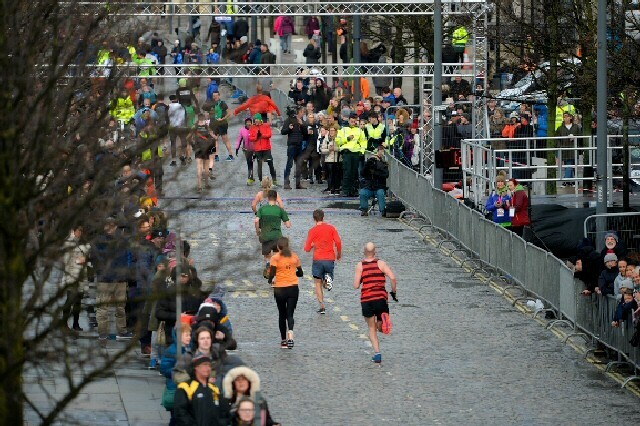 Special mention must also go to the stewards and volunteers who help make the race a success, including BTR Road Runners, Dockside Runners, Everton in the Community, GoodGym; Liverpool Area Army Cadet Force, Origins Sports Massage, and Penny Lane Striders. 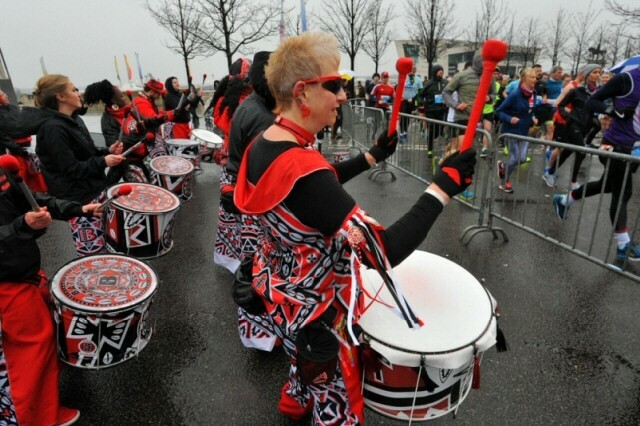 Thank you also to our team of official race pacers, and the Race Angels along Otterspool Promenade who gave runners that much needed boost along the waterfront, where drumming band Batala Mersey were waiting for them on the home straight." During its 26 year existence, the event has firmly established itself as the North West's premier road race event; and the race is now in the running for a top tourism award. 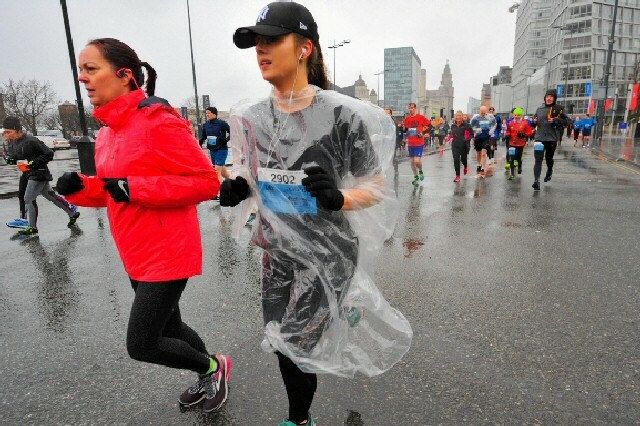 The BTR Liverpool ½ Marathon has been shortlisted in the Small Event of the Year category in the Liverpool City Region Tourism Awards 2019. The race is the only sporting event represented across all 17 categories. The winners will be announced on 16 May at a black tie awards ceremony at Liverpool Cathedral. 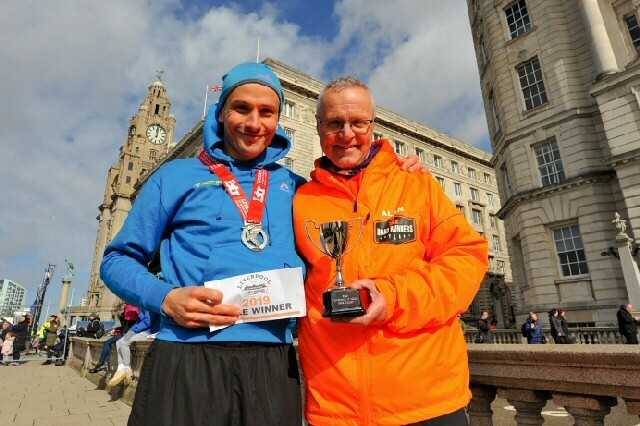 BTR Race Director Alan Rothwell added:- "The race continues to prove popular with overseas runners who want to experience the City combined with a race - and this year we celebrated our increasing number of overseas competitors by introducing the BTR Liverpool Landmarks ½ Marathon name. The event's international appeal contributes to Liverpool City Region's Visitor Economy. We invite runners to join us to run the landmarks and see the City on foot, it'll leave participants wanting more miles and more Liverpool; it's the perfect combination. We are delighted to be the only sporting event represented in the Liverpool City Region Tourism Awards 2019." 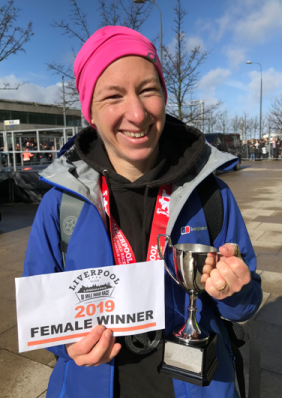 Next race in the BTR portfolio is the BTR Mersey Tunnel 10K, on Sunday, 14 April 2019. 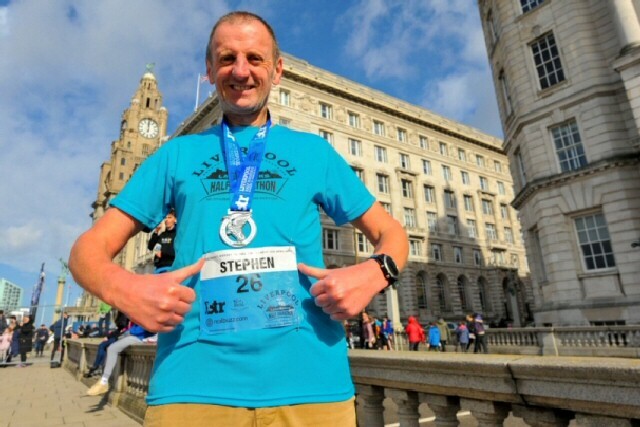 Runners start in Liverpool, run under the River Mersey and through the Kingsway Tunnel, finishing at New Brighton. If you want to take part, you can enter online now!